I had heard so many good things about this eye liner from so many people that I couldn't stand it anymore and I rushed out to purchase this. Since it came with a very good recommendation I have very high hopes for it. Lets talk about the less interesting part first. (lol) You can purchase this anywhere that L'Oreal is sold. It retails for between $7.99 to $10 depending on where you purchase it. I bought mine for $8.99. You get 0.05 FL. Oz or 1.5 mL of product. 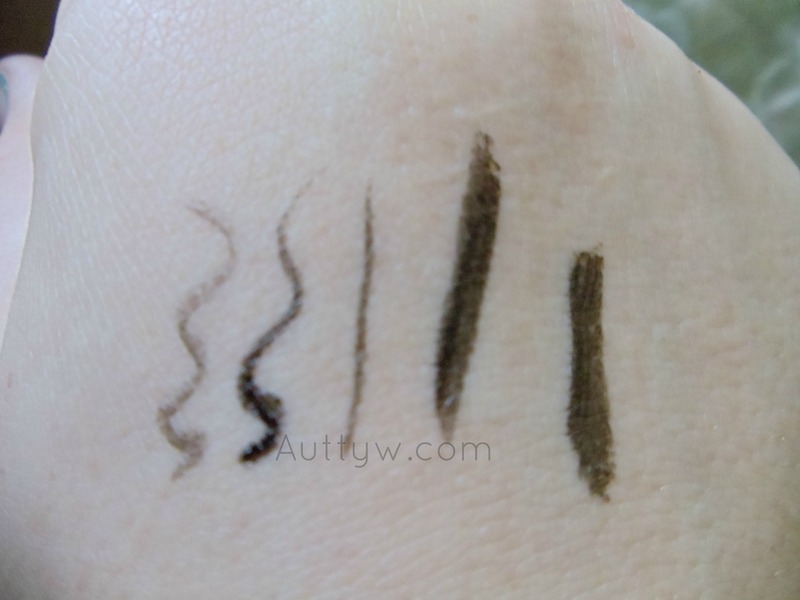 This liner has a nice felt tip, you can make your line as thick or as thin as you would like it, which is one of the things that I really like about this liquid liner. The packaging itself is very sleek, its purse black with rose gold lettering, which I think is very very nice. I like that the handle is flat on the sides so that you can get a good grip on it and not have to worry about it slipping out of your grasp or what not when applying it. Unfortunately, this product fell very short for me. It is not very pigmented in my opinion. With the felt brush tip, I find that even though I really like it, it skips. I also find that it does not give a solid line. There are always and I mean ALWAYS lines on the side that are darker then the center, like the product just drags right out of it. It does not give a very nice line at all. I really wanted to love this product, but I just couldn't, there are better liners out there in my opinion. Maybe I just got a faulty one or something, but I doubt I will be re-purchasing it. I use it occasionally that way I don't feel like I am wasting my money. Disclaimer: I purchased this product with my own money. I am not being sponsored or paid to do this review, nor am I being sponsored by the above mentioned companies. All opinions are 100% my own.